500-3P DISC HARROW – SWECO PRODUCTS, INC. 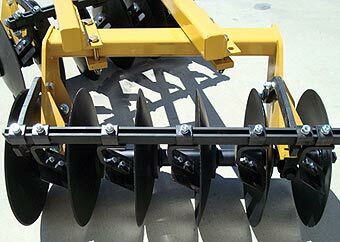 The SWECO 5003P series offset disc harrow is specifically designed for use in smaller applications. It is available in sizes of 3’ to 8’ widths to be used with low to medium horsepower tractors. It is easily adjusted for level discing. All-steel spacer spools – 9-1/8” spacing, and 24”x3/16” smooth disc blades are standard equipment.